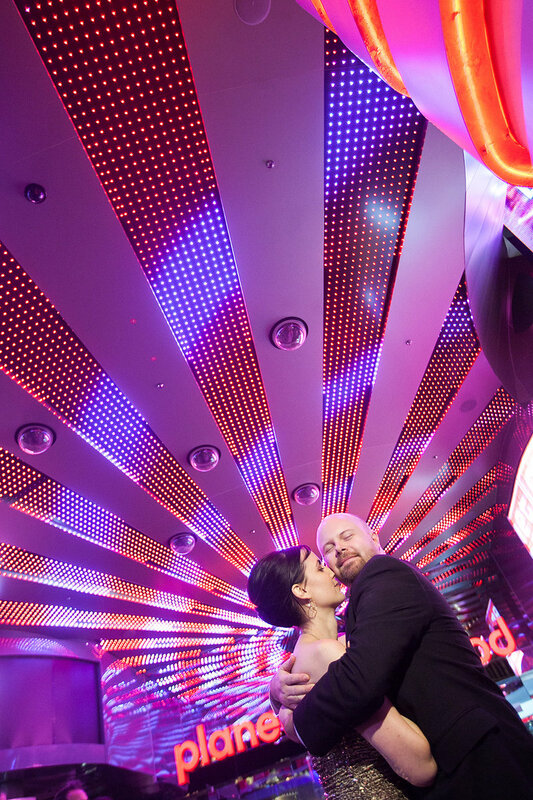 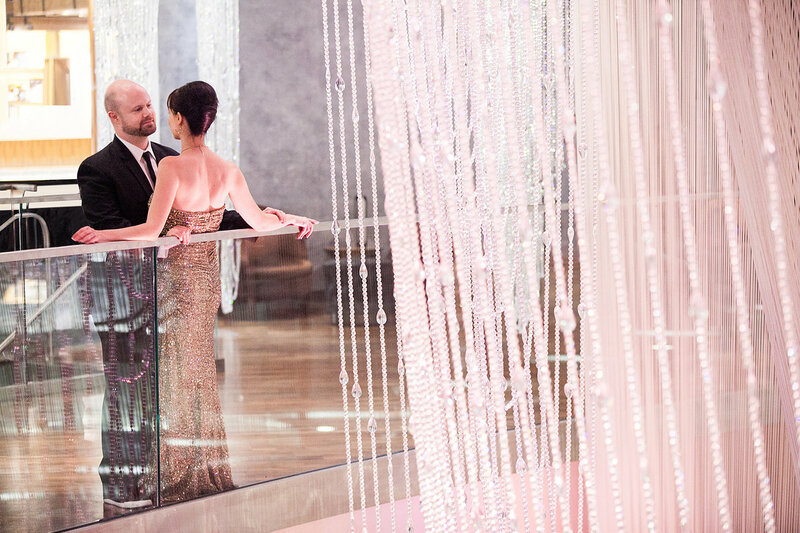 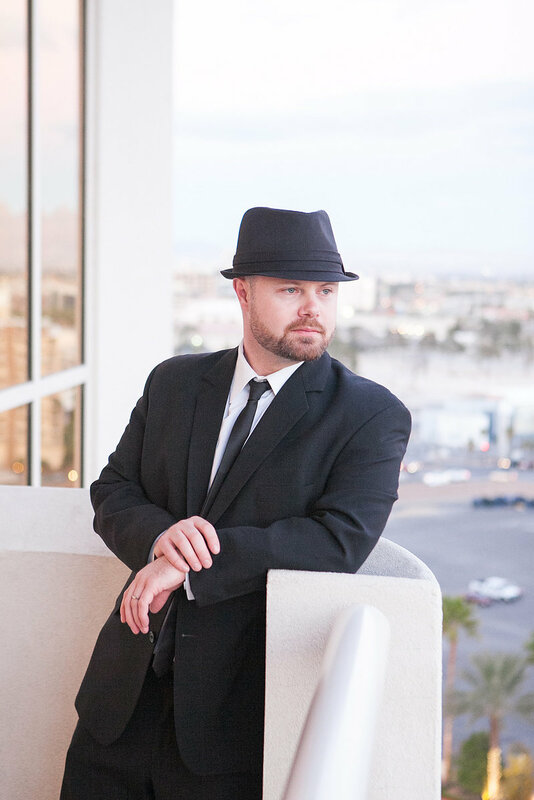 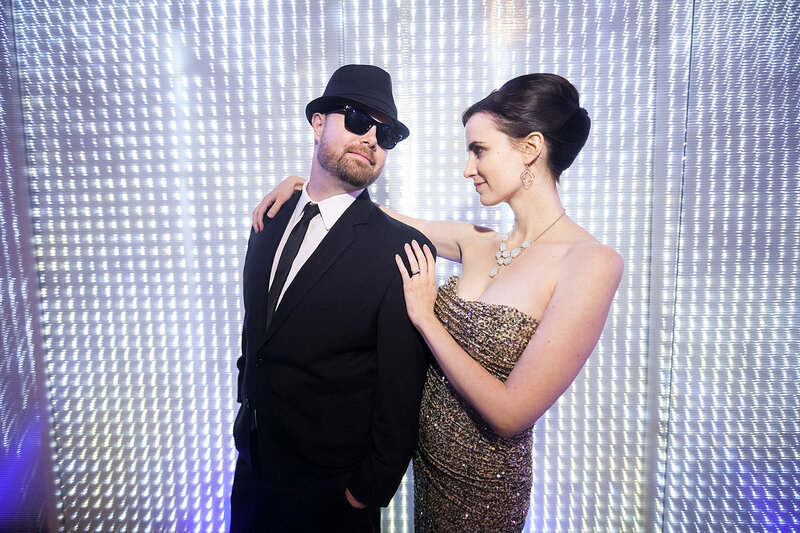 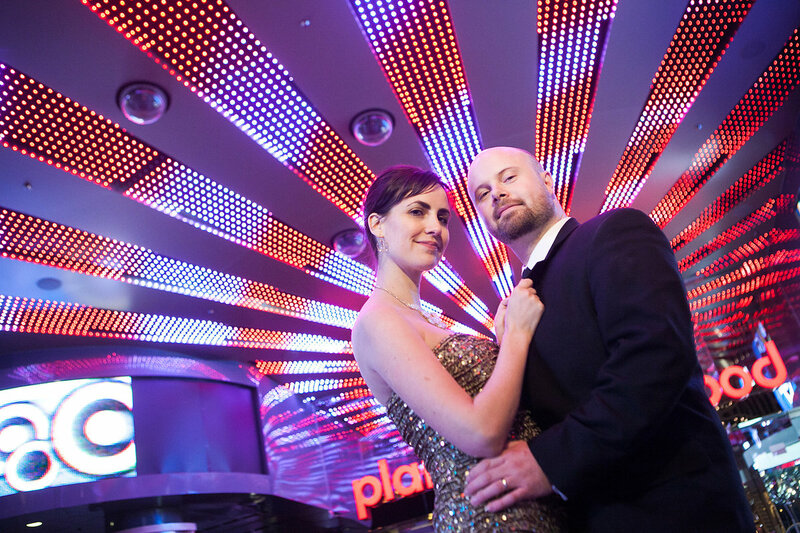 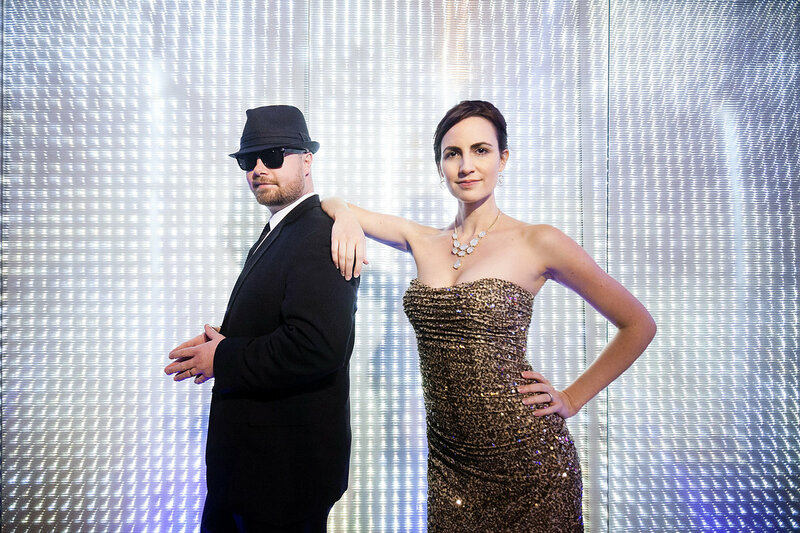 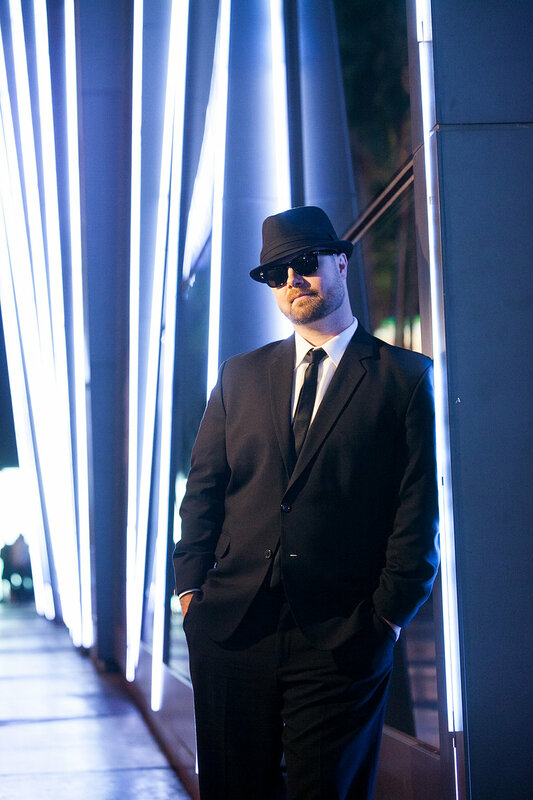 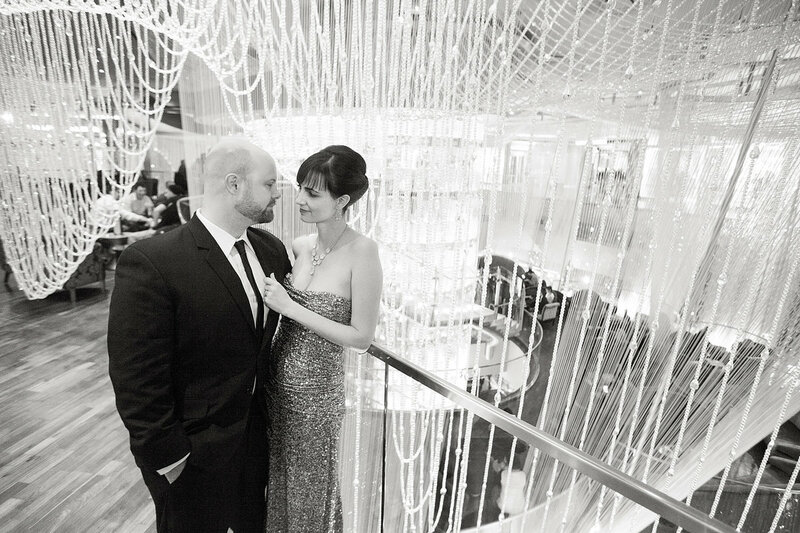 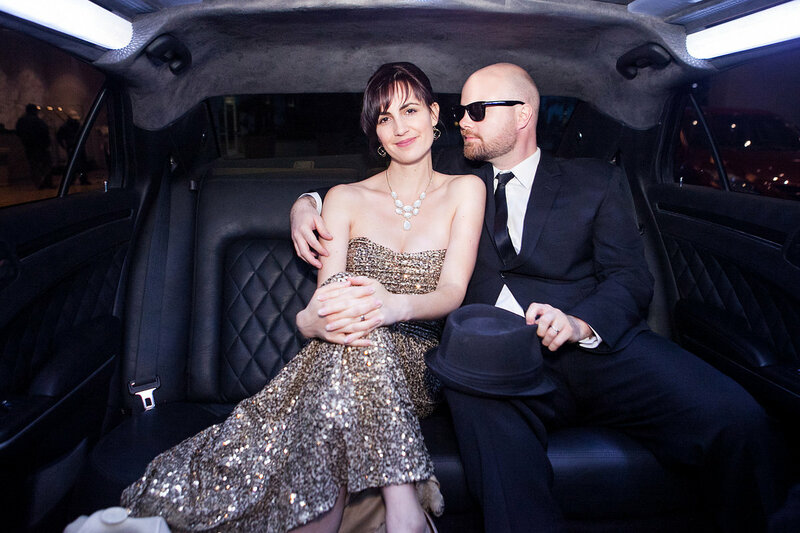 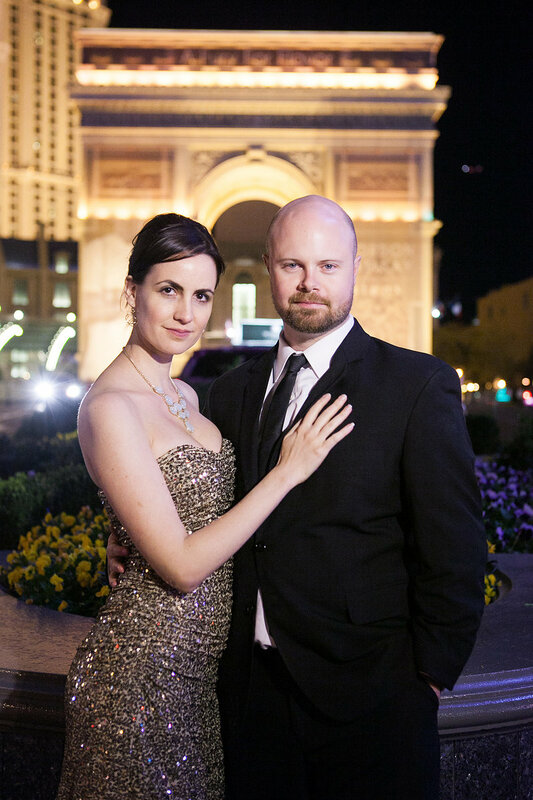 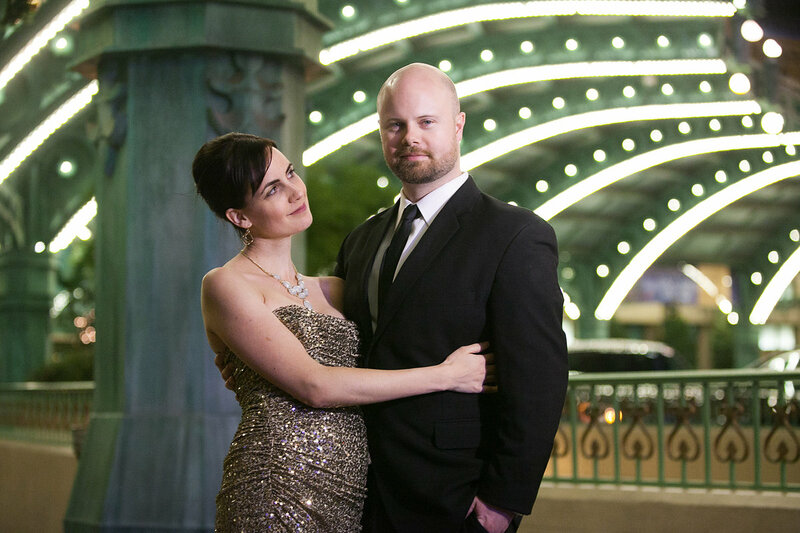 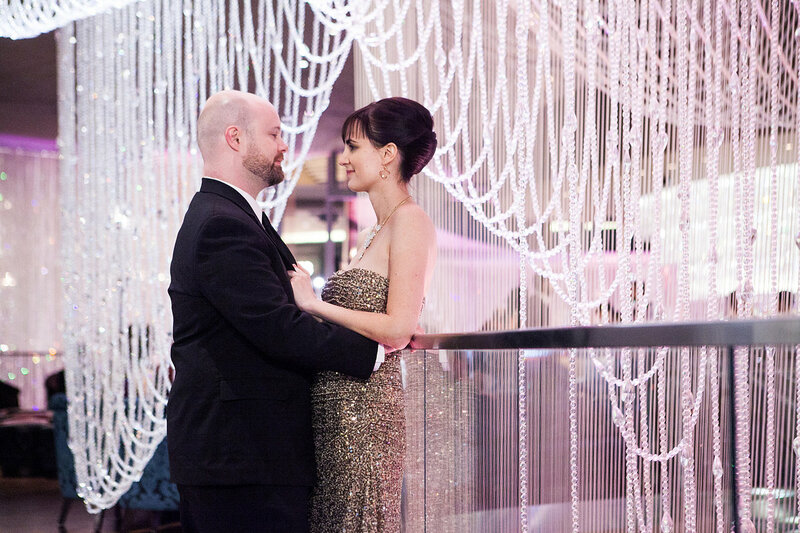 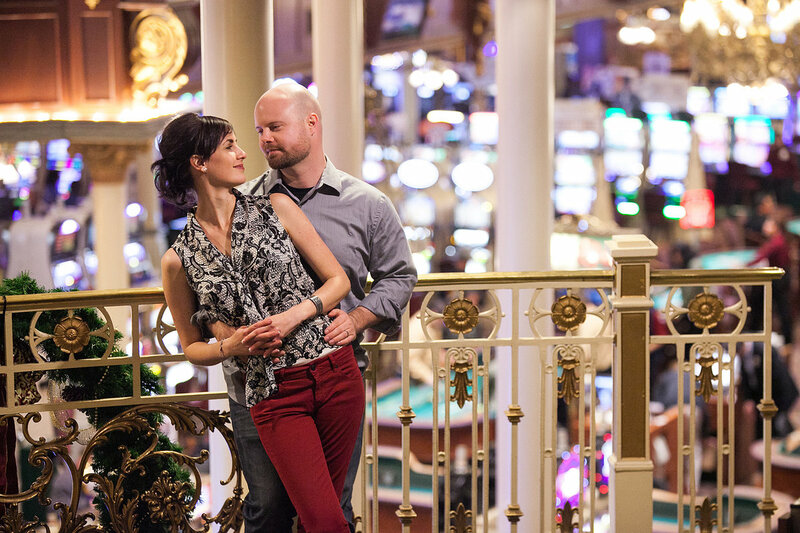 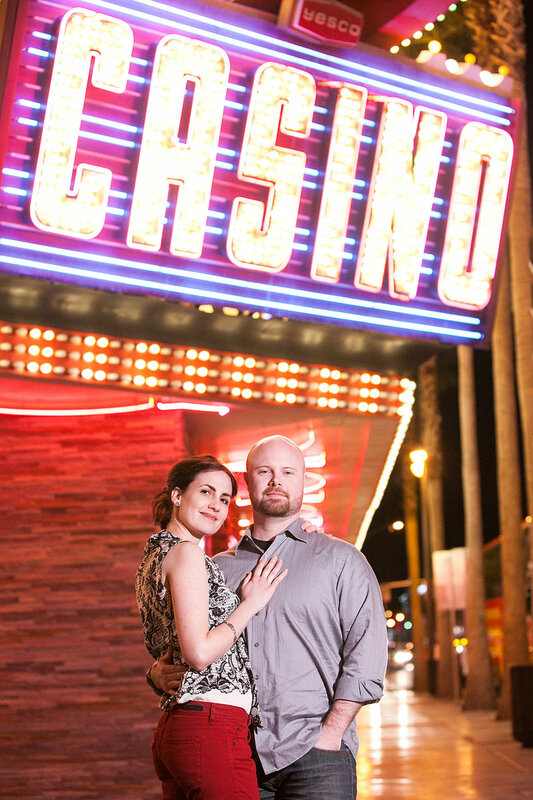 Zoey and Nick got all dressed up and did their engagement session Vegas style! 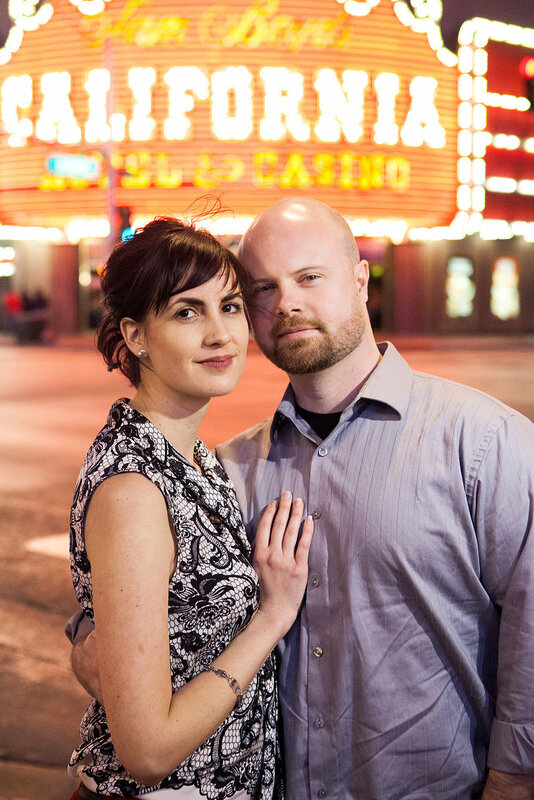 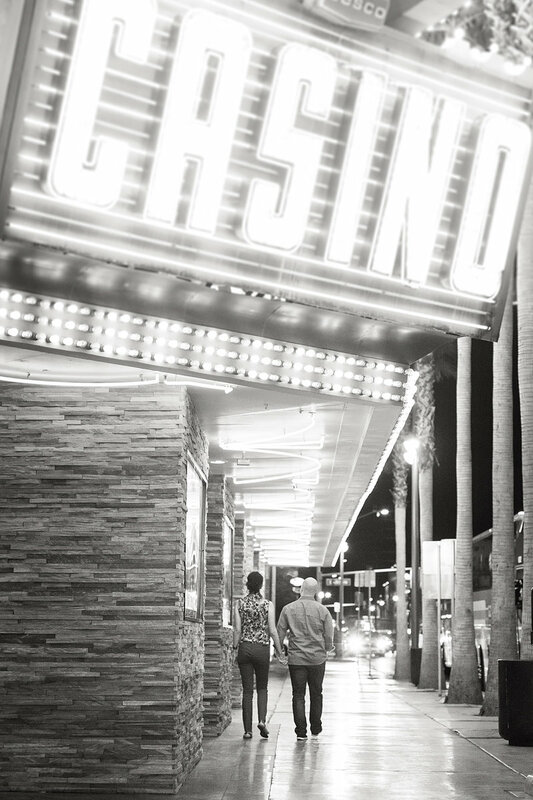 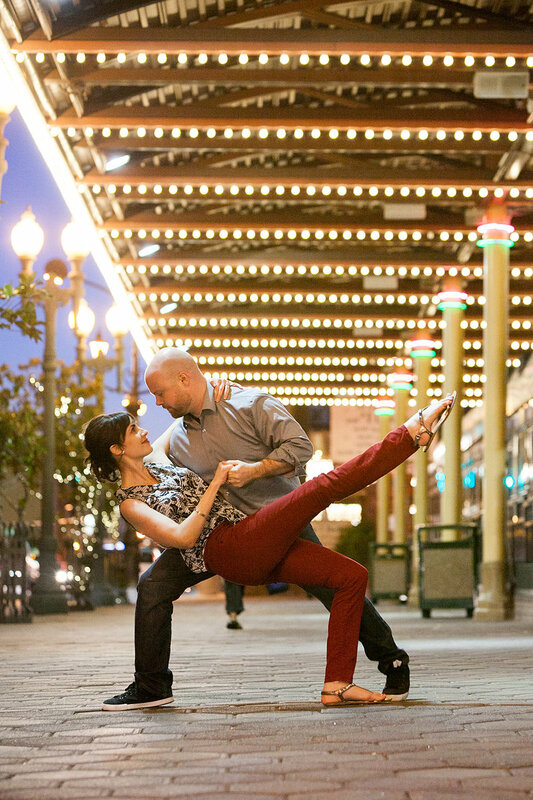 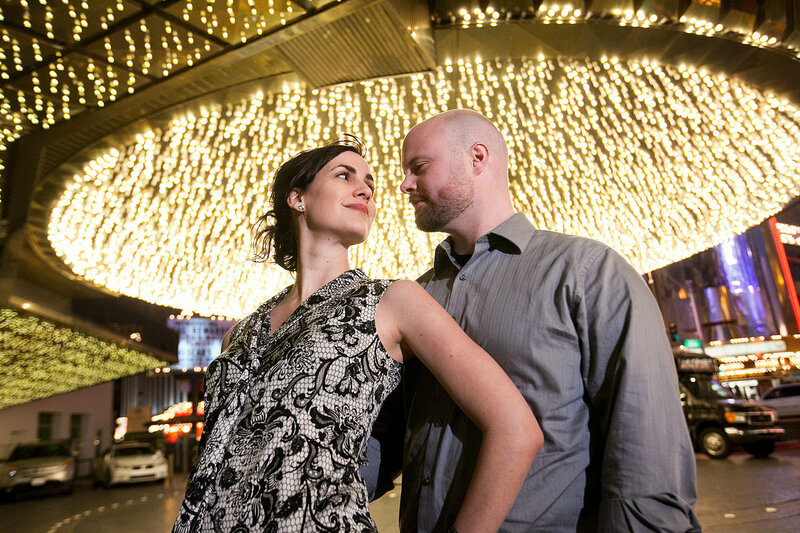 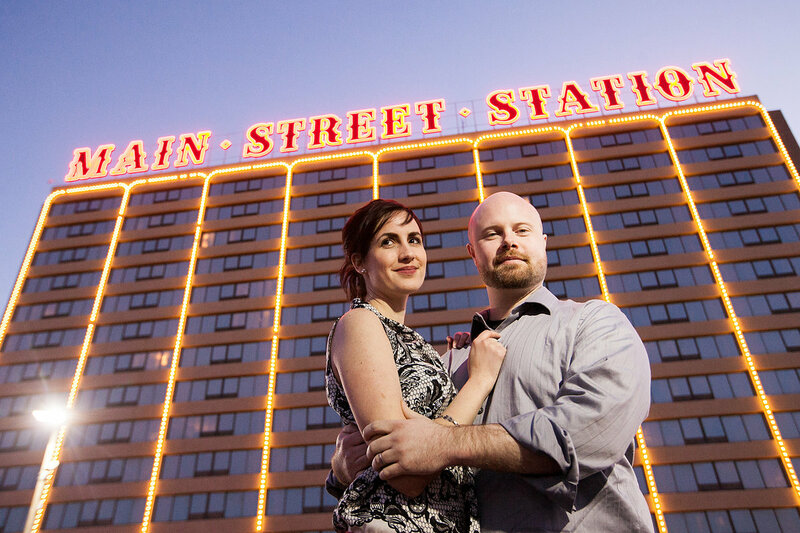 These two started out in their street clothes as we explored some old-school Las Vegas glitz on Fremont Street. 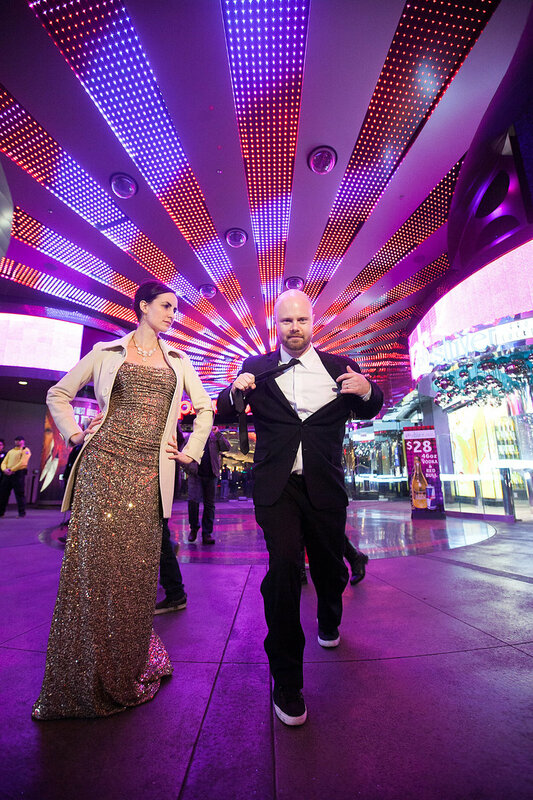 Then we headed back to the strip, where Zoey and Nick changed into their glittering best and headed out for a night on the town. 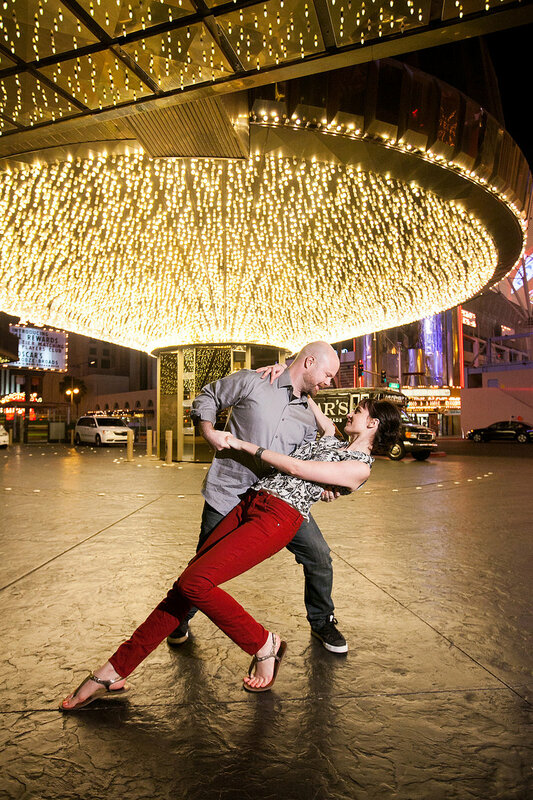 We loved every second as these two strutted their stuff under the neon lights and danced beside the Bellagio fountains (where Nick had proposed). 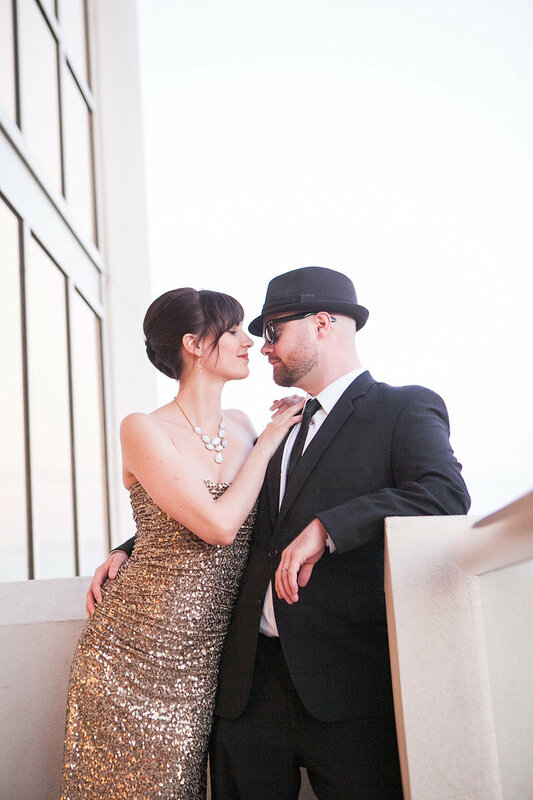 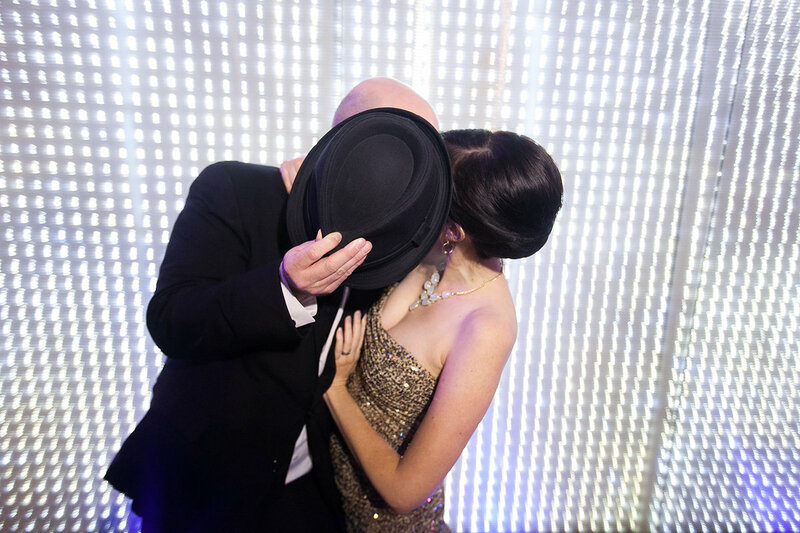 Nothing says Vegas more than a gold sequin dress, a Blues Brothers fedora, and two lovebirds smiling it up under the twinkling bulbs!